Vili is here today. This is my first post for The Shaky A. Planet. 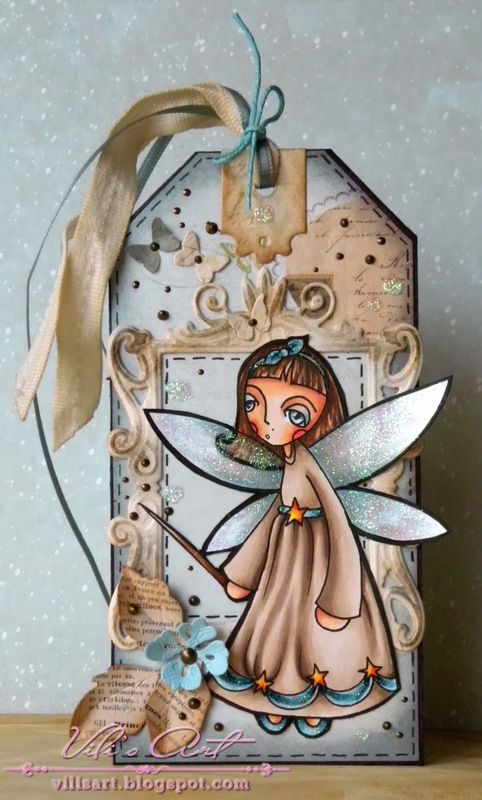 I made today's tag using the icredible stamp Magic Everyday. Alberto is really talented. You can see his digital stamps here at Whimsy Stamps. More details you can see here.